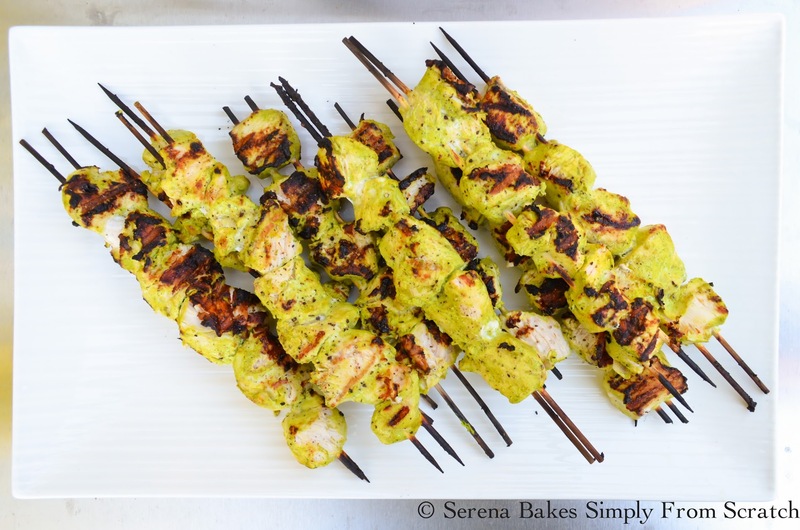 An easy to make chicken skewer perfect for the hot days of summer. 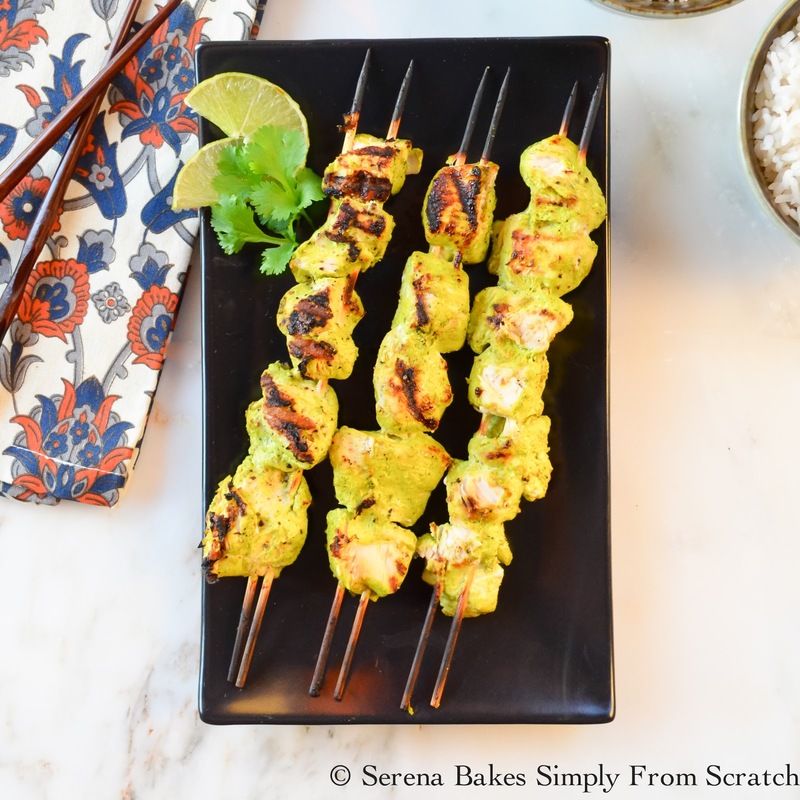 Yogurt Marinaded Chicken on skewers keeps this recipe moist and full of flavor. We made Yogurt Marinaded Chicken Skewers the other night when it was way too hot to think about turning on the oven or even the stove top for that matter. It's one of those recipes that's perfect for a change up from the traditional BBQ chicken and one of my easy go to recipes for the grill. I made this one with greek yogurt, cilantro, garlic and ginger for a flavor explosion. The yogurt helps keep the chicken moist and full of flavor. If you don't have plain greek yogurt feel free to use plain yogurt, I've used both over the years and they both turn out tasty. 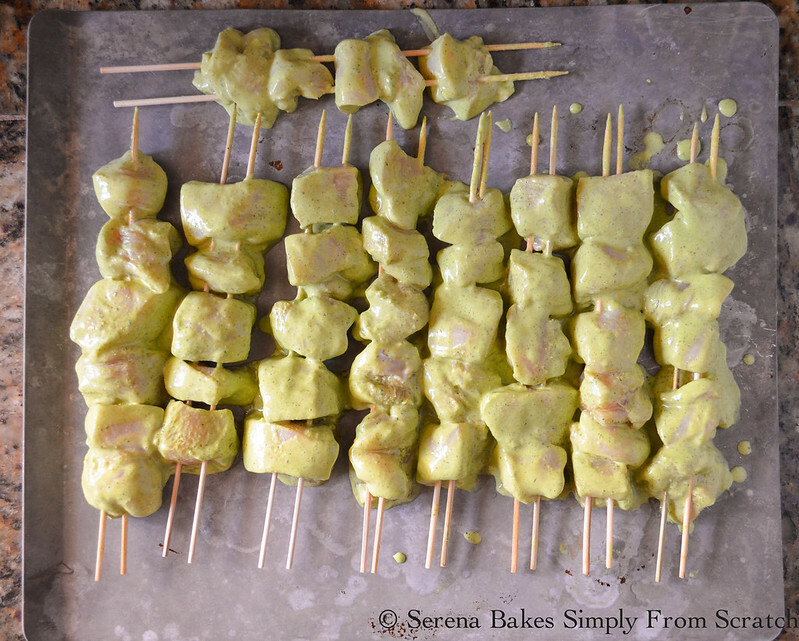 Here's the recipe for these moist little chunks of chicken on a stick aka BBQ Yogurt Marinaded Chicken Skewers. In a blender or food processor combine 1 cup plain greek or regular yogurt, 2/3 cup cilantro, 5 cloves garlic (you know to keep the vampires away), 1 tablespoon freshly grated Ginger, 1/4 cup extra virgin olive oil, juice of 1 lime, 1/2 teaspoon cumin, 1 teaspoon turmeric, 1/2 teaspoon curry powder, 1 teaspoon smoked paprika, 1 teaspoon sea salt and 1/4 teaspoon pepper. 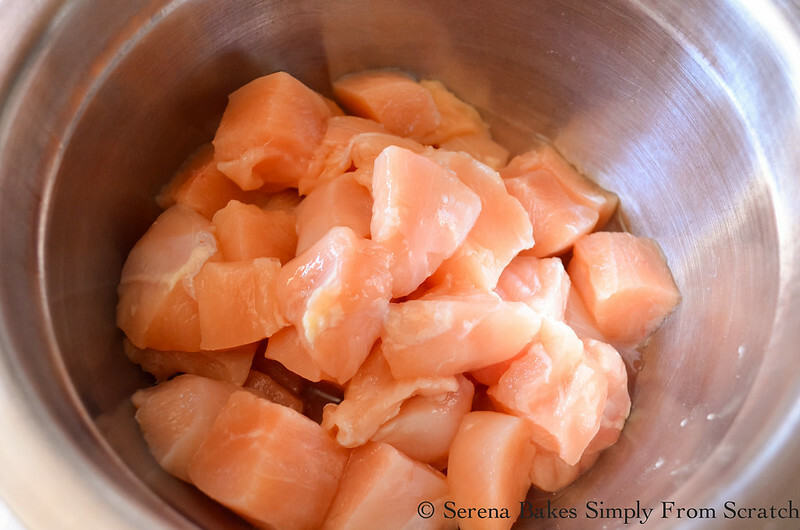 Cut chicken into skewer sized chunks. Place chicken into marinade and cover. Marinade for 4 hours or overnight. If using wooden skewers make sure to soak for a few hours in water to help prevent skewers from catching fire. Cook chicken over a hot grill until chicken is cooked all the way through and no longer pink. Grab a few skewers and dig in. Yogurt Marinaded Chicken is an easy to make dinner on the grill. The chicken is made moist and full of flavor from the yogurt marinade. 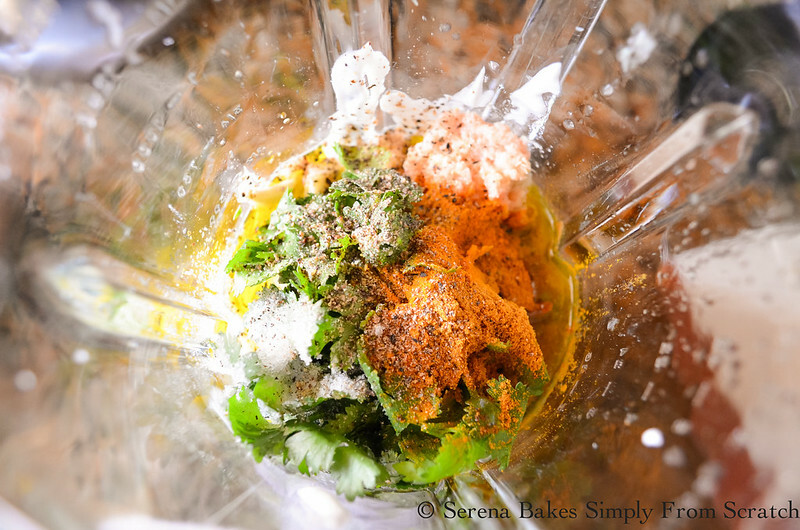 In a blender or food processor combine yogurt, cilantro, garlic, ginger, olive oil, lime juice, cumin, turmeric, curry powder, smoked paprika, salt and pepper. Blend until smooth and creamy. 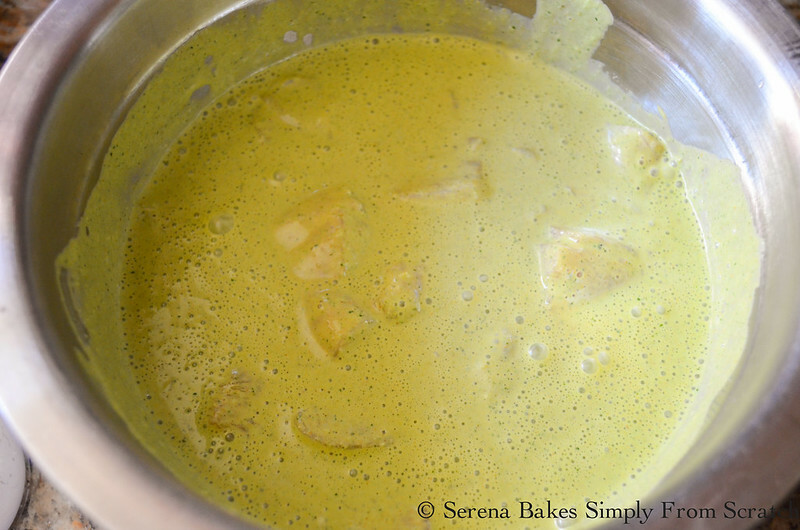 Pour marinade over chicken and refrigerate for 4 hours or overnight. Place chicken on skewers and cook over a hot grill until cooked through and no longer pink in the center about 6-8 minutes per side depending on how hot the grill is. These look so good, love the flavors in these skewers!